Pastel Workshop: 10 Lessons I’ve Learned from Henri Matisse - Color! 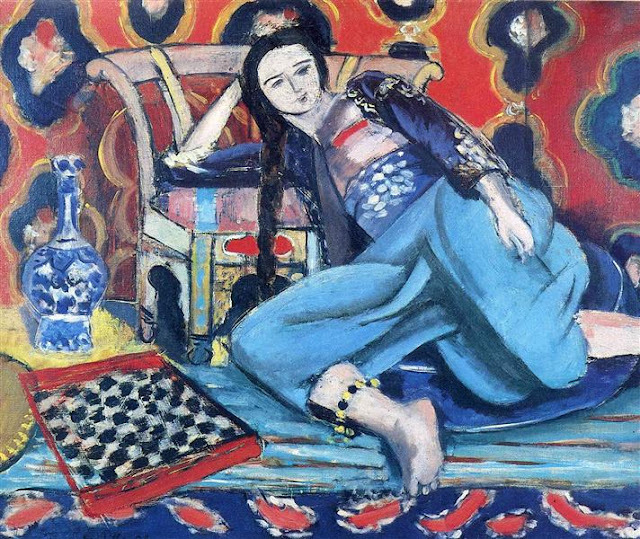 Henri Matisse’s name is synonymous with colorist art. His strange use of color, his mounting of colors to their full power, and his use of surprising combinations of colors unlike anyone else before, set him apart. The key to his color use was his disinterest in referencing objects by their identifiable, or common, colors. Figures could be fleshy colored, or bright blue and yellow-green instead. What mattered was how the colors interacted one to the other, not what signaled to you that here was a human being. The Modernist era turned art inward; art was to now have a language of self interest, which means that lines, shapes and colors matter at least as much as the objects in a painting. For Matisse they mattered more! Color exists in itself, possessing its own beauty. Henri Matisse. The Renaissance imperative of describing depth of space by graying colors as they recede became unimportant-that was too yesterday! Matisse and his rebel gang of artists were describing the new era without limits, and with the explosive forces of ultramarine, cadmium yellow and vermilion. Read this post at Medium.